This title comes with FREE ONLINE ACCESS on the popular Salem Press platform. 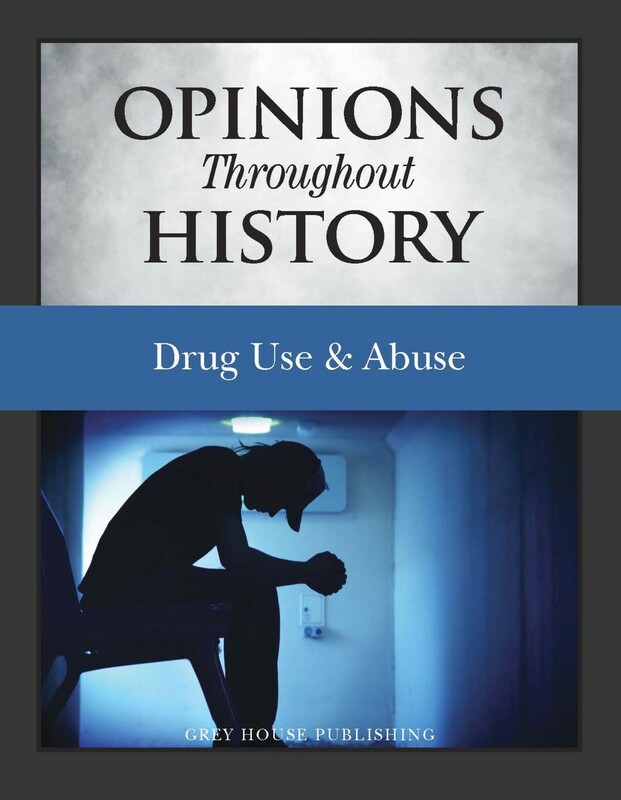 Opinions Throughout History: Drug Use & Abuse is the fourth title in the new Opinions series from Grey House Publishing. Single, in-depth volumes are designed to follow the path of public opinion on current, controversial topics as they have evolved throughout history. Each volume includes a range of primary and secondary source documents, including newspaper and magazine articles, speeches, court decisions, and other legislation. These documents are accompanied by expert commentary and analysis to guide the reader through the process of understanding how each document contributed to, or is a reflection of, changing attitudes on important issues of public interest. The front matter contains a detailed Introduction that discusses the complex issues of both legal and illegal drug use throughout history. Following that is a comprehensive Timeline of significant events related to drug use, legalization, and addiction from 8,000 BCE to 2018. The time period covered is sweeping. The content starts with a New York Times Letter to the Editor from 1860 with testimonial for “Mrs. Winslow’s Soothing Syrup,” a cough medicine for children that contained alcohol and morphine, and ends with a new treatment program implemented in San Francisco in 2018, to treat drug addicts on the street instead of in treatment facilities, where they fear arrest. The Table of Contents includes details of each chapter and the individual documents analyzed. Most documents are reprinted in their entirety, and are clearly distinguished by a shaded title bar. Often, the document is broken up into sections to better demonstrate the points discussed in the accompanying commentary, detailing its significance and how it reflects the ongoing tension between opposing opinions in America. Get Free Online Access on the Popular Salem Press Platform! This volume tracks the changing national views on immigration. 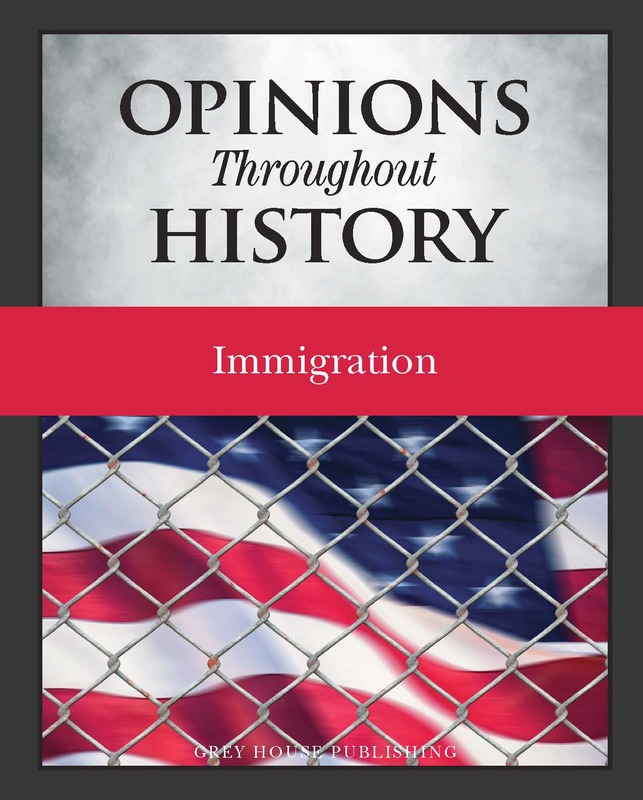 Historian at-large Micah Issitt traces the path of public opinion and policy on immigration in American history, with each chapter providing insightful commentary on a selected primary source. Drawing from the popular press, key court and legislative battles, speeches, social activism and opinion polls, Opinions Throughout History-Immigration will offer readers mixed sources of information woven together to highlight the overall momentum of developing public opinion on this perennial policy issue. As the country grows and expands to accommodate new waves of immigrants, the book will explore the tension between welcoming newcomers and seeing their value to the nascent nation and rejecting immigrants and the strains of anti-immigration thought in American society. National Security vs. Civil & Privacy Rights, the first topic tackled in this new series, couldn’t come at a better time in history. 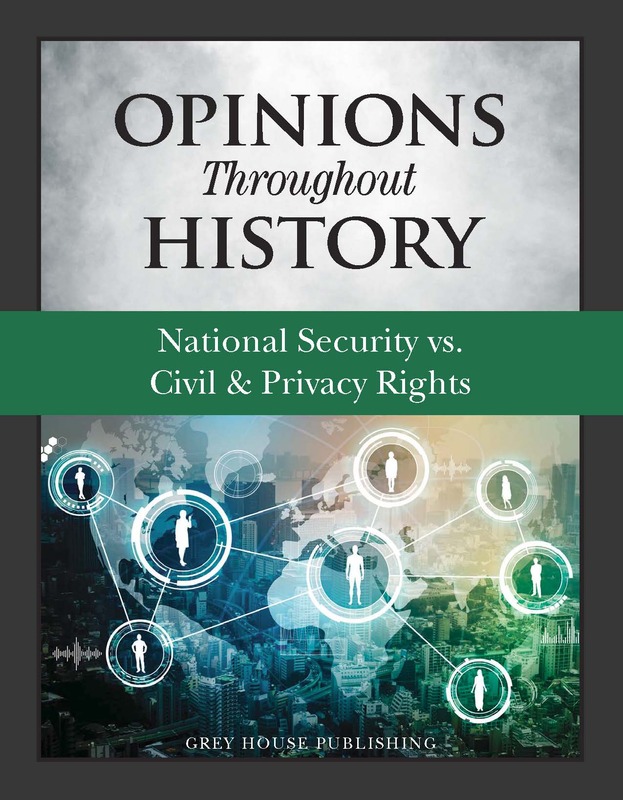 This volume offers a sweeping overview of the shifting tensions and public opinions fueled by Americans’ expectations of privacy vs. their collective desire for national security. Beginning with the seminal “Privacy Rights” article in Harvard Law Review in 1898, and ending with a recent Pew survey on Americans’ Attitudes about Privacy, Security and Surveillance, this first volume makes for a remarkable debut, and illustrates the dramatic shift of opinion, sparked by significant events, including perceived Communist threat, the publication of George Orwell’s Nineteen Eighty-Four, 9.11, and the rash of recent terrorist attacks all around the world. This volume follows shifting public opinion on the environment. 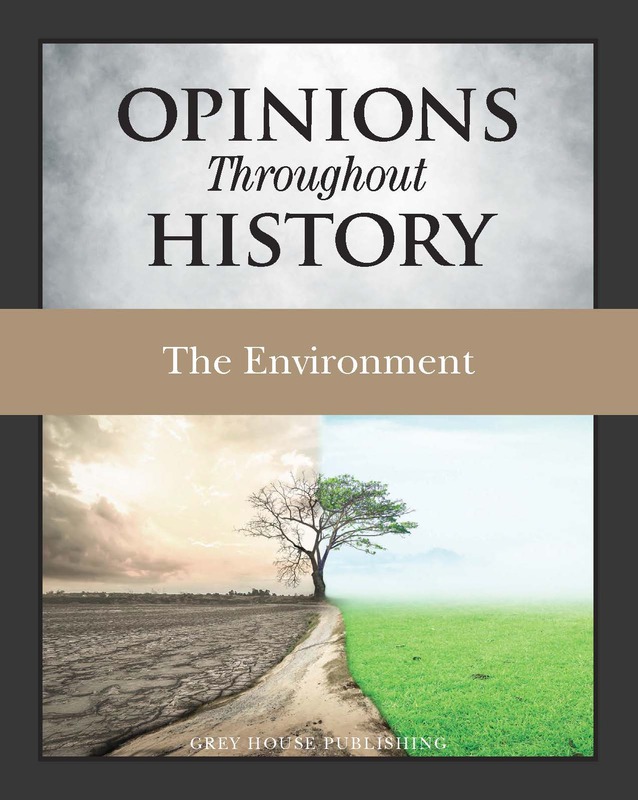 Historian at-large Micah Issitt traces the path of how Americans think about the environment, with each chapter providing insightful commentary on a selected primary source. Drawing from the popular press, key court and legislative battles, scientific research, social activism and opinion polls, Opinions Throughout History: The Environment offers readers mixed sources of information woven together to highlight the overall momentum of developing public opinion around “green” thinking and environmental policy. As commercial and conservation forces compete to shape popular opinion on this issue, readers will see the constant tension between development of natural resources for human benefit and “leaving no trace” thinking in the natural world. This volume tracks the changing national views on gender roles and rights. Historian at-large, Micah Issitt traces the path of gender politics in American society, with each chapter providing insightful commentary on a selected primary source. 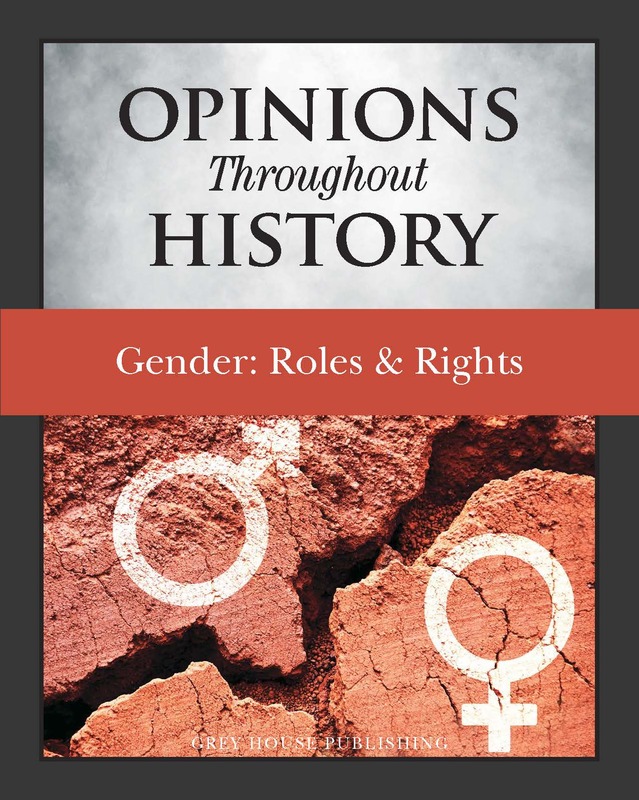 Drawing from the popular press, key court and legislative battles, speeches, social activism and opinion polls, Opinions Throughout History: Gender: Roles & Rights offers readers mixed sources of information woven together to highlight the overall momentum of developing public opinion. As forces compete to move the needle of popular thought on this issue, readers will see the push and pull tension between traditional and modern definitions of prescribed gender roles.